I love visiting night markets in Taiwan for a variety of reasons. There is always so much to see, smell, eat and buy! A large part of Taiwan’s food culture is characterised by its night markets.They are so vibrant and constantly bustling with activity! For many, a visit to a night market in Taipei is often the last event on one’s tourist itinerary. And in the country’s capital city, there are indeed many to choose from. From the very popular ones which tourists flock to like Shi Lin Night Market 士林夜市 and Rao He Street Night Market 饶河街夜市, to the more 在地人 “known-only-by-locals” ones like Yan San Night Market 延三夜市 and Nan Ji Chang Night Market 南机场夜市, there are easily close to a dozen joints to choose from. Many of these night markets have their own “specialities” which draw crowds from near and far every night. Some go for deep fried chicken cutlets 炸鸡排, while others are there to feast on oyster mee sua 蚵仔麵線 or crispy steamed buns 生煎包. One of the foods I am always game to try whenever I see it at a night market is 刈包 Gua Bao. 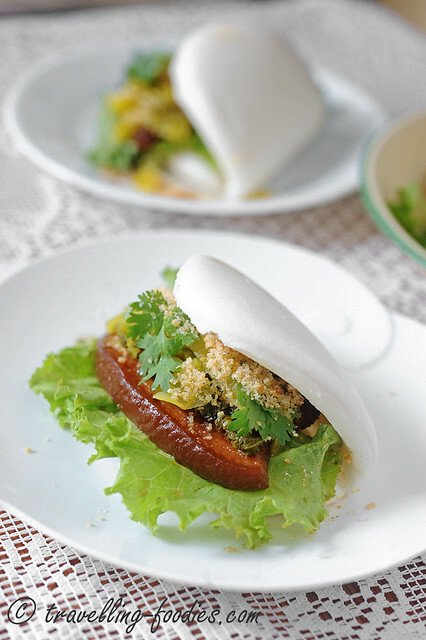 Also scripted as 割包, it is often called a “Taiwanese hamburger” 台式漢堡 by tourists. And there are many good versions around as well! 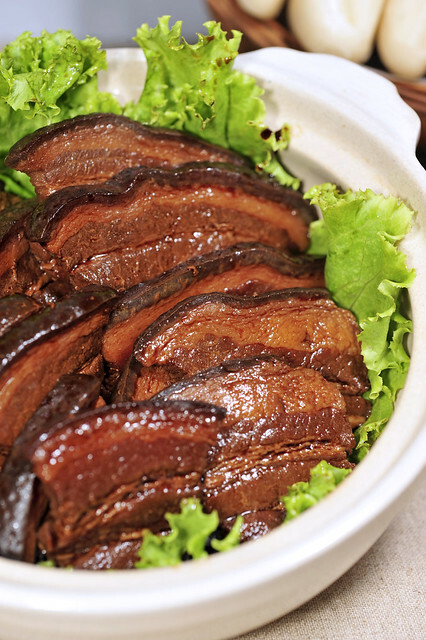 There are those who maintained the tradition of making 刈包 by serving thick slabs of braised pork belly sandwiched by a piping hot and fluffy steamed bun, like 源芳刈包 at Hua Xi Street Night Market 华西街夜市 and 石家刈包 at Tonghua Street Night Market 通化街夜市, while others like 蓝家刈包 at Shida Night Market 师大夜市shred the meat into bitesize morsels for the convenience of diners. I prefer the former as it seems more hearty and visually appealing to have a whole piece of meat encased within. Whichever the case, the 刈包 offered at these joints promises a delightful palate experience. But the truth is, 刈包 is so easy to make at home and a sure favorite amongst many be it the young and old, especially during family gatherings and events.